Facebook business pages are one of the best ways to reach your ideal client. We are confident about the power of Facebook from our years working to promote our customers on their business pages. When a consumer is looking for information about a business, they are going to pull out their phones and Google your company or the services you offer that they are looking for. When you have a Facebook business page, it will be one of the first search results. If you don’t have a page, you are missing out on a big opportunity! But just having a business page isn’t enough, either. You need to be running your social media with purposeful strategy, while keeping safe, and staying up-to-date on changes to the algorithm. If this sounds a bit overwhelming, we get it! Don’t worry. That’s why we are here. We have done the years of training and continue to study what is new with Facebook so you don’t have to. Is your Facebook converting how you'd like it to? People need to see your content 7-12 times before they’ll consider purchasing. If you share a blog post just once, you’re not going to get the readership you want. You can share the same content in different forms. You want people to do more than just ‘like’ your posts. They should be commenting, sharing, and having meaningful conversations with you. Ask for recommendations that you actually need. Provide calls to action and ask for follow through. One great way to call your audience to action is through Live Video. 3.) Give your audience a taste of the pie, leaving them wanting more. Go look at your last 5 Facebook posts. At least four of those posts should be providing value. You can make your customer’s lives better just by sharing your knowledge. People who follow you on Facebook get really irritated when all they see are sales posts. You followers know what you sell, you don’t have to tell them over and over. Share your zone of genius and those interested will come to learn. 6.) Don't touch the BOOST post button. If one of your posts is doing well, Facebook will tempt you with that “BOOST POST” button. Don’t press it! If you’d like more people to see your successful post, run it through Facebook Ad’s Manager. You can select an already created post to do this. This way you can target those you want to see the post. You don’t have to reinvent the wheel each time you post on your page. Each of your followers learn in different ways. Some of them make live videos, others may love reading blog posts. Use that to your advantage! Take a live video and turn the information into several pieces of content. This way your followers can learn in the way they prefer, and you have content to post on your page. 8.) Upload videos directly to Facebook. The Facebook Algorithm loves videos. Videos seem to create a lot of engagement and followers love to see them. BUT they must be uploaded directly to Facebook. YouTube links. Vimeo links, or whatever video platform you chose to use will not be successful. They are actually Facebook’s least favorite thing and rarely show up in a follower’s news feed. How do you know how far you’ve come if you don’t know where you started? Start tracking your Facebook stats today! You can easily do this by writing them down, or throwing the numbers into an Excel sheet. This way you can know which months you did well, review your content, and keep growing your page. 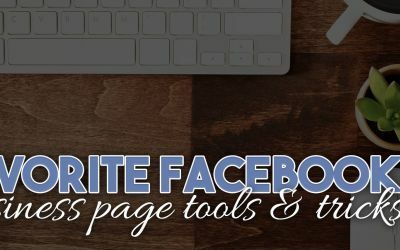 When your Facebook page is connected to your personal page, it’s easy to get drawn into your personal life and lose all productivity. You might be on Facebook, but are you really on Facebook for business? When you switch your page to Business.Facebook, it removes your page from the left margin. Now when you are on your business page, you are strictly working on your business! It’s a matter of work-life balance. Along with increased productivity, the Facebook Business Manager offers you more options for understanding your business page by using the stats and analytics feature, and it increases your page security. Still Think Social Media Isn’t For Your Operation? Don’t let your Facebook page eat up all your time. With this accelerator, you can create a page that will run itself and give you more time to focus elsewhere, cultivate a community of loyal followers, generate consistent sales leads, and accelerate your business forward. Setting monthly goals and tracking your progress is crucial for small business owners. 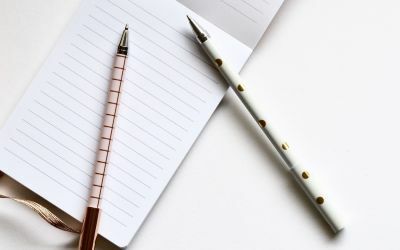 With this guide, you can record your monthly goals, track your stats, get organized, manage your budget, plan your month, and prepare for success. This easy-to-follow Social Media Marketing kit will help you navigate social media platforms and reach your ideal customer. The kit has challenging fill-in-the-blank prompts, Facebook tools with step-by-step instructions, and pages to track your stats. Looking for more help with your business? "KRose Marketing and Consulting has taught me the important of doing a live video (even thought I was hesitant at first), and reading about the Facebook algorithm on the KRose Marketing Blog has made a huge difference! More people seeing my page, and engaging! Thanks so much!" "KRose Marketing and Consulting taught me that reach is not nearly as important as engagement on Facebook. I was under the assumption that page likes was as far as it went really. You taught me that page likes are nothing and how to get so much more out of my page by reaching more potential customers! They truly have the heart of a teacher"